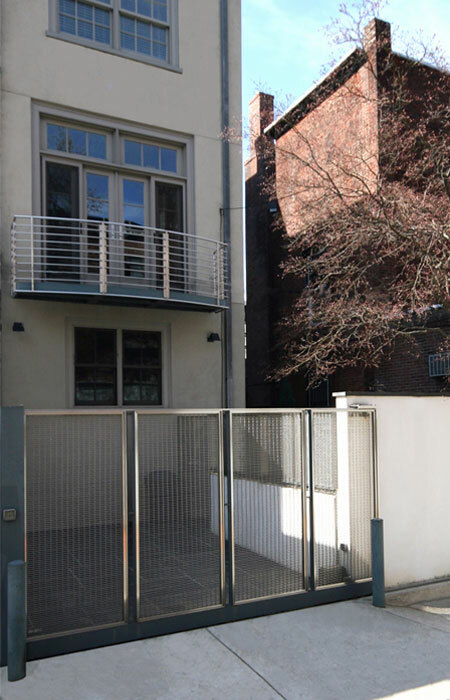 Early in the project we discovered a shared passion with the owners of this center city Philadelphia townhouse, for Swiss/German metalwork. 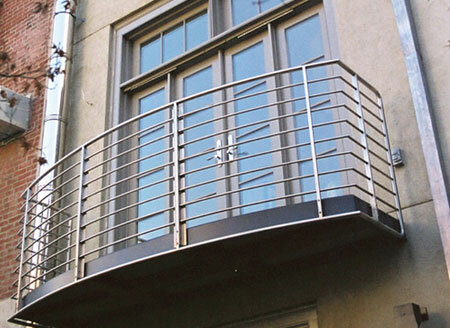 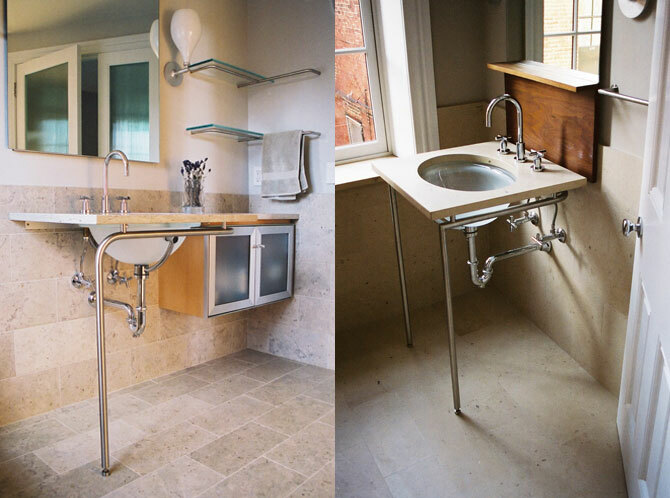 Exploring the potential of design through knowledge of both architecture and custom metalwork, what began as the renovation of a few bathrooms overtime became a complete interior and exterior renovation even including the design and fabrication of many custom furnishings. 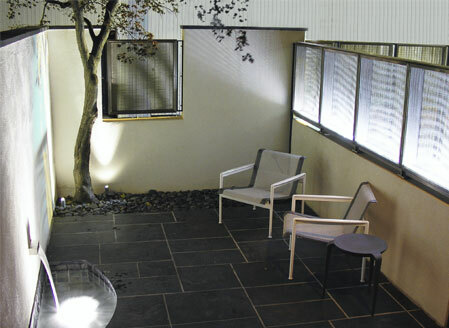 Outside, the simple yet elegant and serene space is deceptively high-tech with heated stone paving, custom electric sliding gate and stainless steel mesh wall with changing color LED uplighting.